Has 2011 brought any science fictional artistic highlights with it for you? Cover art? Print? Paintings? Watercolours? Mosaics? Sculptures? What work from this year so far might you consider nominating for next year’s awards? I left this question until last for a specific reason: Eastercon begins tomorrow. And at Eastercon – and quite likely other conventions this weekend – there will be an art show. For those of you attending Eastercon, consider, as you walk around the art show, if any of the work there strikes you as worth nominating for next year’s art awards. Indeed, consider keeping this in mind at whatever conventions – or other venues for sharing science fictional artwork – you run across this year. There’s nothing the least bit wrong with nominating good cover art; but it’s not the only place that good science fictional artwork is being produced. 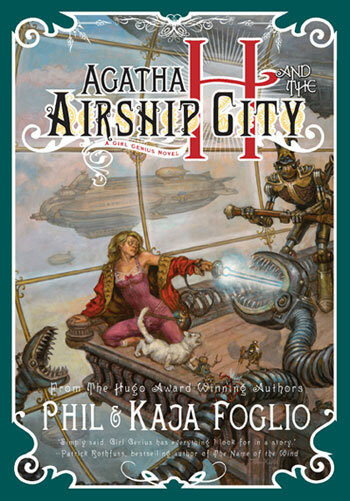 Cover for Agatha H. and the Airship City by Phil & Kaja Foglio, artwork by Phil Foglio (Night Shade Books). 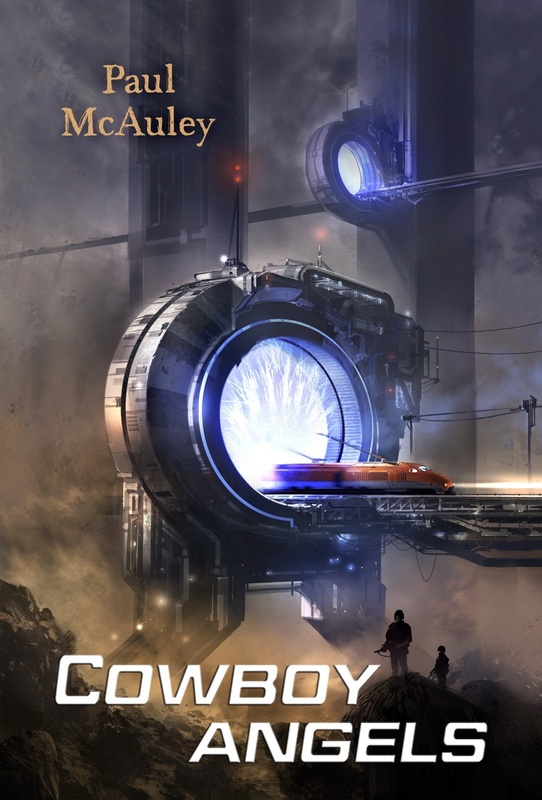 Cover for Cowboy Angels by Paul McAuley, artwork by Sparth (Pyr). Cover for The Quantum Thief by Hannu Rajaniemi, artwork by Kekai Kotaki (Pyr). 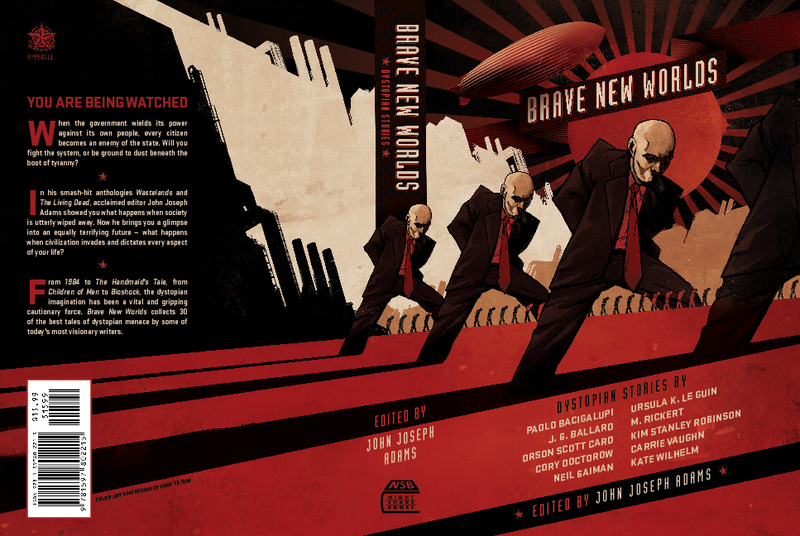 Cover for Brave New Worlds by John Joseph Adams, artwork by Cody Tilson (Night Shade). ‘Nautili’ by Julie Dillon, cover for Clarkesworld #53, February 2011. Further to our previous brief discussion on BSFA-nominated artwork (with James Bacon), I like that idea of promoting great artwork throughout the year instead of a mad rush in February, as there’s so much that gets forgotten. Perhaps the back cover of Vector could be used for this a few times throughout the year?